Midi Jam converts a keyboard midi output to a visual display of every chord the keyboardist is playing at the very moment the chord is being played! 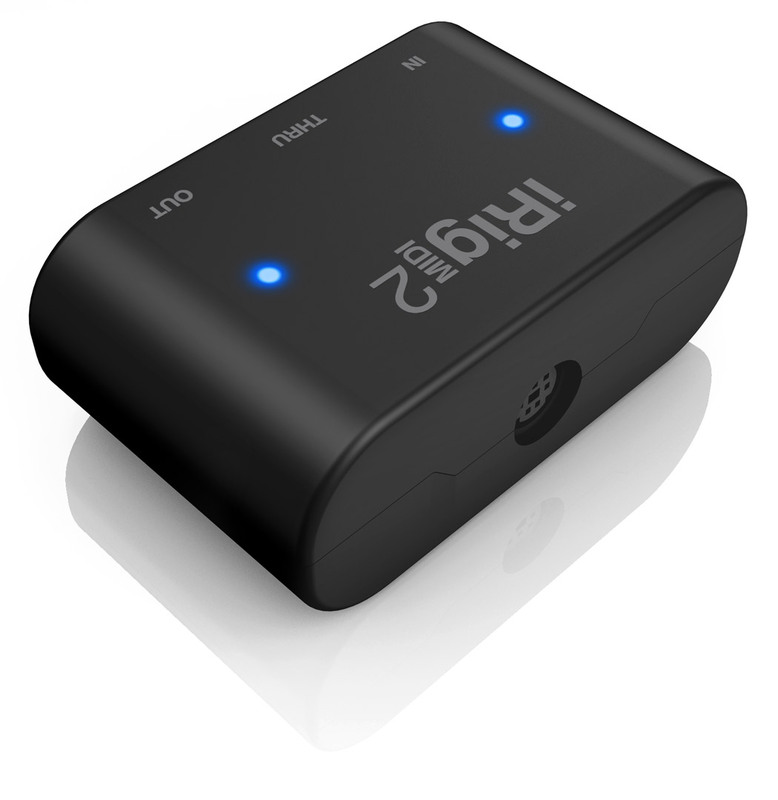 Midi Jam is perfect for musicians not able to play by ear because instantly the info you need is right in front of you! Midi Jam takes the guesswork out of any band Jam Session letting you play your preferred instrument with complete confidence in the absence of sheet music. Just want to be in sync with the lead instrument ? Or join in the Jam Session when no sheet music is on hand? 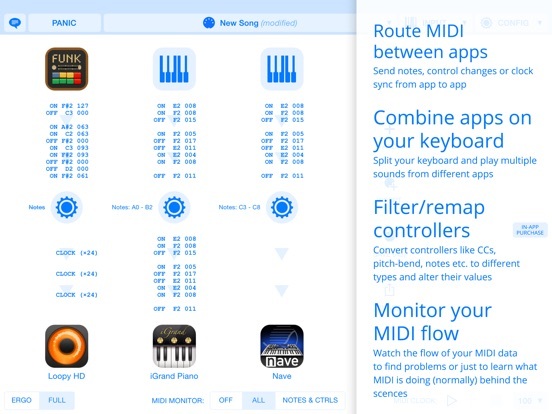 – Midi Jam is just what you need so that you can play like a pro. Why learn to play by ear when you never need to? 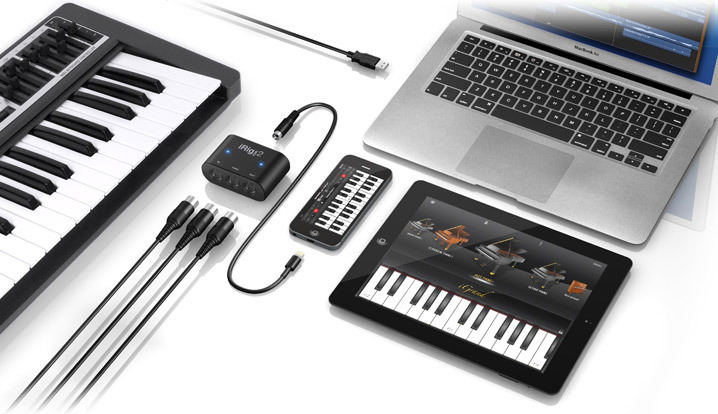 Now you can turn up to a Jam Session and always look like a professional! 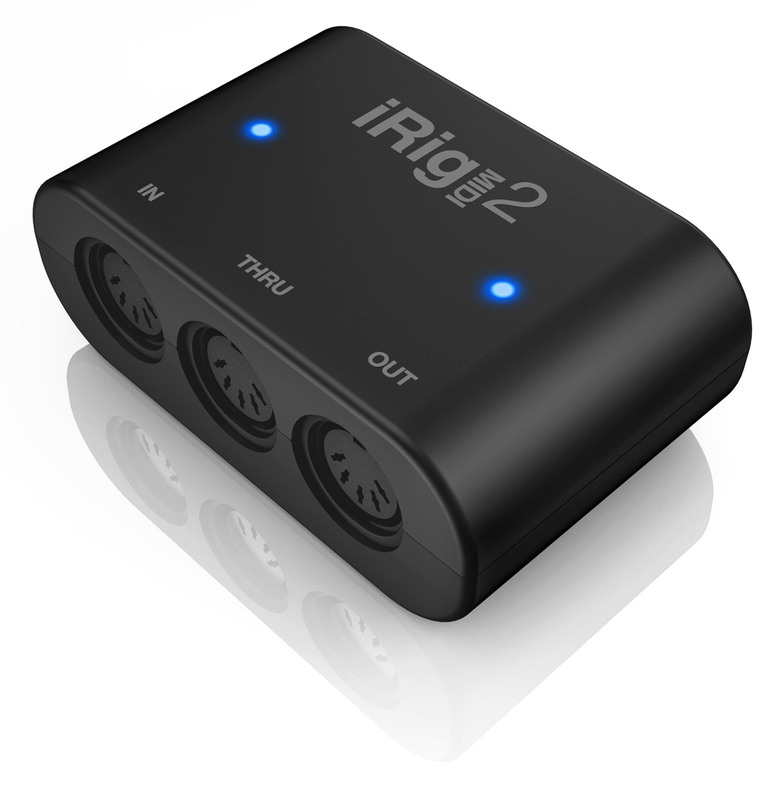 Connect the keyboard midi out to your network with iRig MIDI/midi to usb/usb midi and you’re good to go! 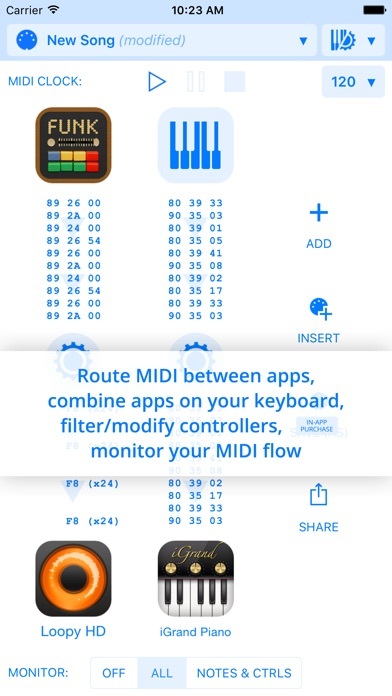 Spread the latest buzz in the jamming world and give Midi Jam a go! You’ll wonder why you waited so long!! 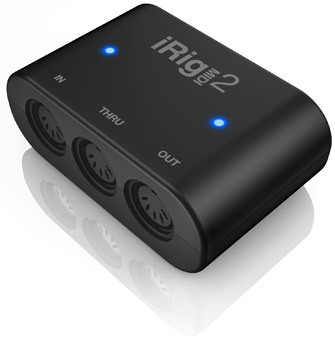 Plug a Midi device, connect the phone with your computer, enable Midi Network, open your favorite Midi Sequencer and Enjoy your device wireless. Send Midi notes or commands over the Wifi. *Midi device not included. Only Midi devices Class Compliant are supported. If you don’t know if it’s supported use first the free version with Ads. 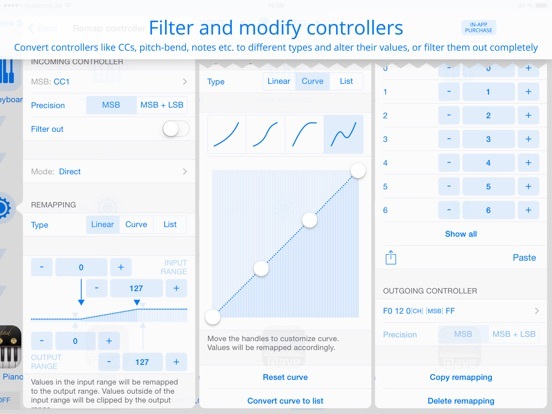 • Lean user interface that gathers the essential performance controls on the main screen. • Fixed sequence of notes (ascending circle of fifths). 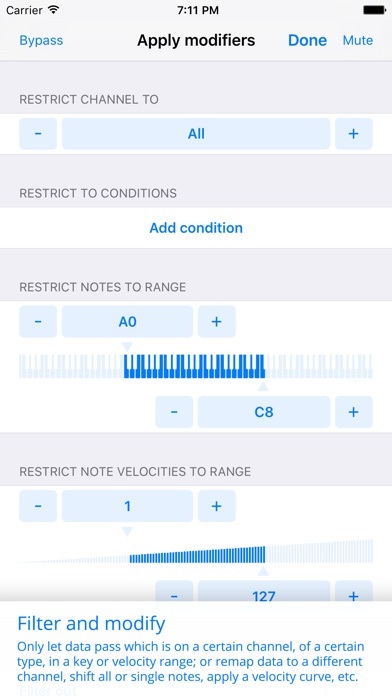 • Clearly displays the notes in the key and scale you select. 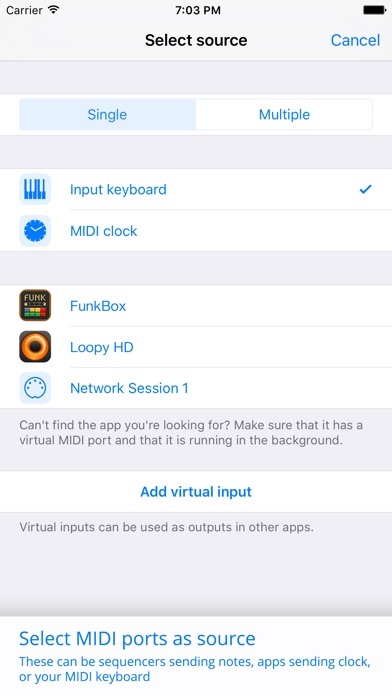 • Outputs to CoreMIDI output ports (virtual, network and physical). • Keeps sending MIDI while in the background. 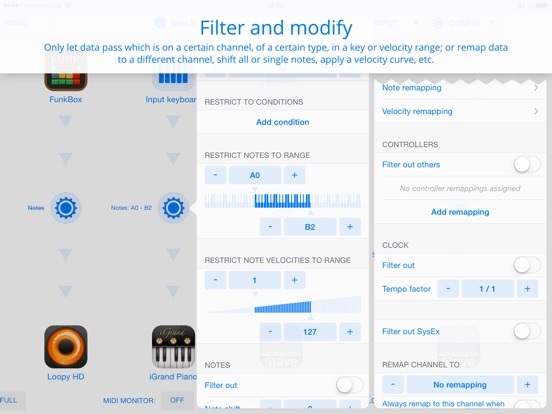 • Can send MIDI notes and MIDI clock, so other apps can choose to synchronise. 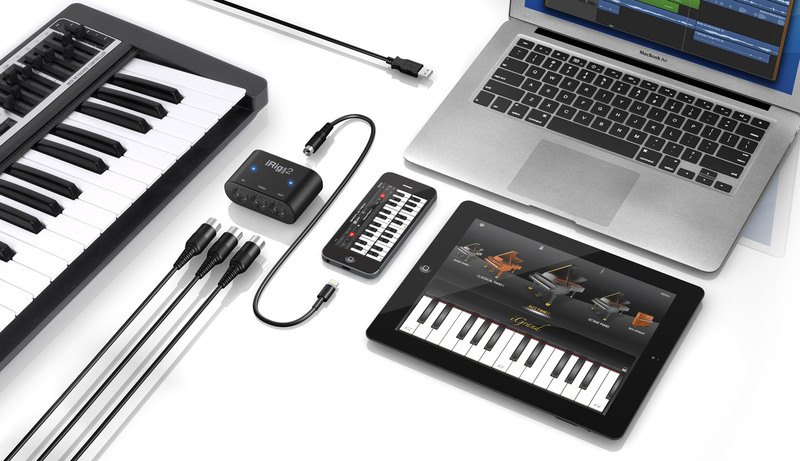 Unity Live is designed for live performance with an external MIDI controller. 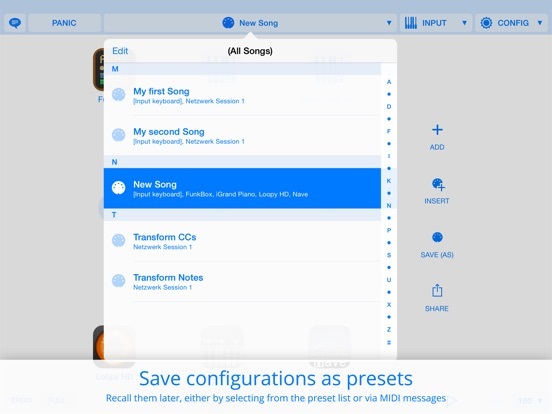 Create set list using the hundreds of high-quality Unity sound banks in splits and layers. Purchase addition Unity sounds on the store page. Each sound may be edited via knobs for transpose, coarse, fine, volume, and pan as well as per-algorithm specific sound controllers, routing amounts, and modulator parameters. 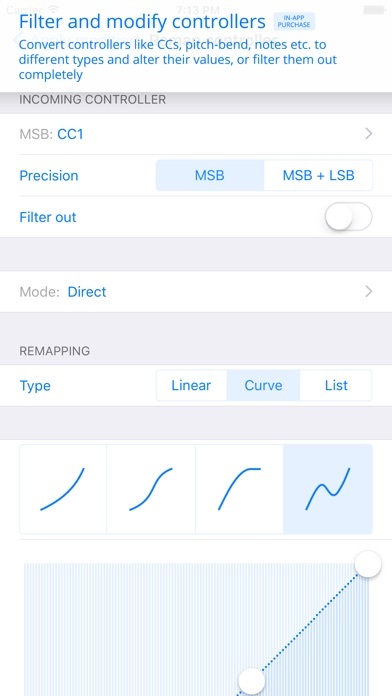 Up to ten sound controllers per-algorithm can be controlled, for example, oscillator frequencies, volumes, and pans, as well as filter cutoffs, and resonances. 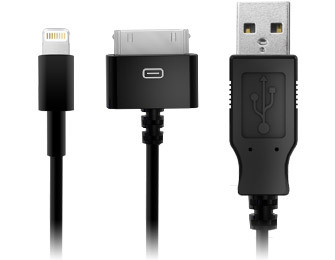 Complete undo and redo support. Manage your application documents easy. Each document is a list of setups (two sounds with splits and/or layers) for a live performance. Multiple document support makes organizing your favorite sounds (with edits!) very easily. Existing ‘Unity Synthesizer’ owners will be able to transfer their current purchase over to ‘Unity Live’ without cost. Audiobus support. 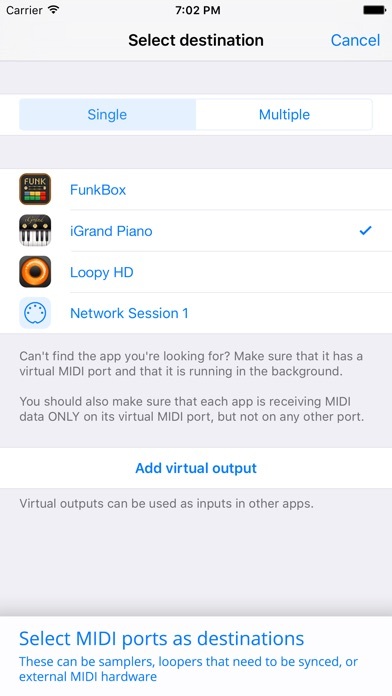 iOS 7 Inter-App Audio support for use with applications like GarageBand on your iOS device. 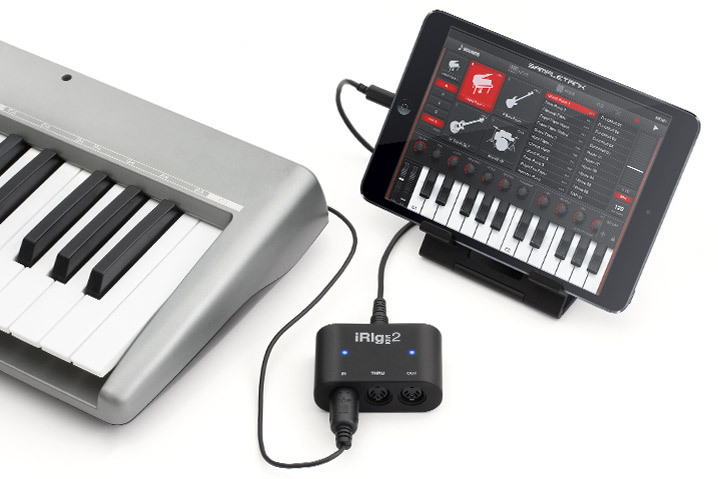 n-Keyboards lets you play two instruments at once, going from acoustic sounds like piano or violin to modern ones like synthesizers and sound effects. 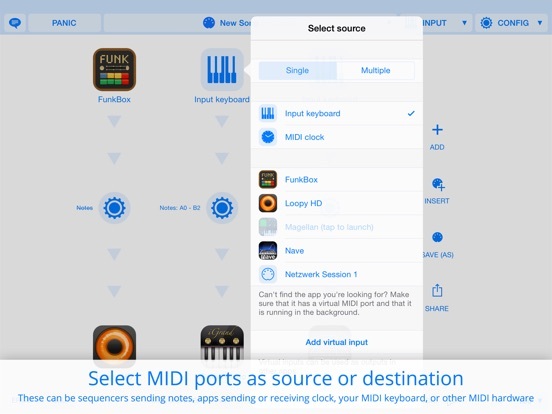 You can choose among the many sounds included (over 100) or you can connect two external Apps via Interapp or Midi, using n-Keyboards as a controller. n-Keyboards can also be played as an Interapp instrument within other applications, or it can send audio to Audiobus compatible applications.